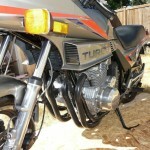 In 1982 Honda won a technological battle by launching the CX500 Turbo. 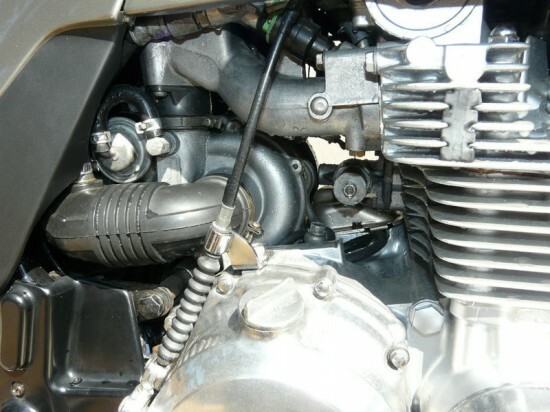 Bristling with cutting-edge componentry, the turbocharged v-twin launched a very intense, yet very short arms race. 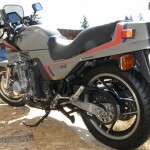 Targeting the role of sport-tourer, the CX500T was a large, heavy bike. 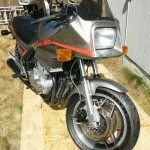 It was also not an immediate success; Honda returned in 1983 with the CX650T – building on the technology base. But by ’83 Honda was no longer alone in the market. Kawasaki built the GPz750 Turbo in late 1983 to be introduced as an ’84 model – and this was the dragstrip king. Yamaha built the “me too” Seca Turbo, an underwhelming effort simply to claim Turbo stakes. When Suzuki launched the XN85 in 1983, it was everything the earlier Turbo bikes were not: It was an unapologetic sportbike. With the Katana-like styling supplied by Hans Muth, a GP-inspired 16″ front wheel, anti-dive front fork, full floater rear suspension and low set clip ons, the XN85 attempted to deliver on the “liter bike power in a 750cc package” promise that turbocharging held in store. So how did it do? Like all the Turbo bikes, it was gone in the blink of an eye. 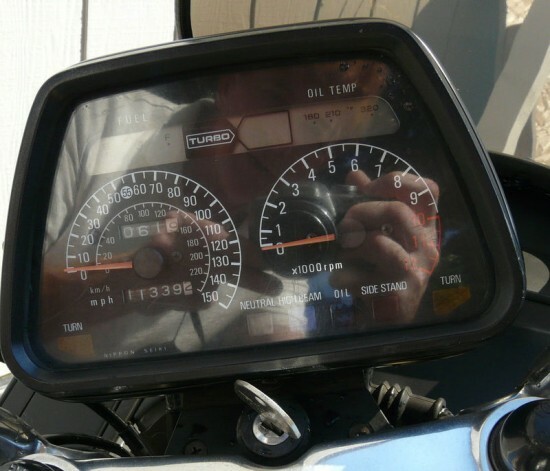 The public did not want to spend liter bike money for a 650 festooned with so many badges proclaiming it was a turbo – and the performance never really lived up the hype. Honda Turbos were gone by the end of ’83. Kawasaki offered them only in ’84-’85. Yamaha’s run lasted longer, but with few updates the Seca was always destined to be the dog of the bunch. 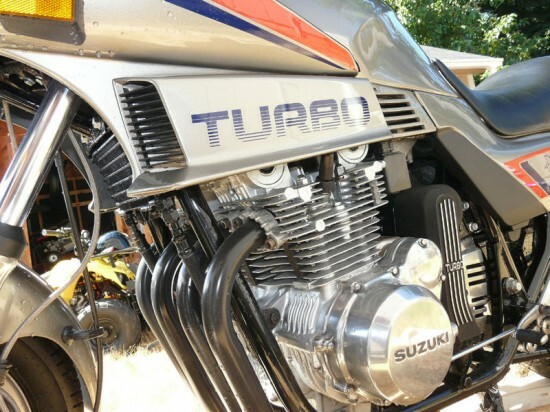 As for Suzuki, the XN85 was a one-hit, one year wonder…making it the rarest of the factory Turbo bikes. 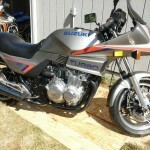 1983 Suzuki XN85 Turbo. If you are looking for a collector bike this is it. 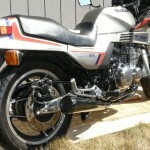 There were only 1153 XN85’s produced and only 300 were imported into the U.S. That means this is a RARE motorcycle. This bike is LIKE NEW. Paint, chrome, aluminum, plastics are all perfect. This bike can be your daily rider, but really should be in a museum or a collection of historic bikes. Runs and rides perfectly. 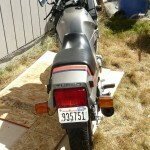 No damage, no road rash, it has just been maintained and restored very well. You will be proud to own this bike. It has been in my private motorcycle collection for almost 4 years now, but I am moving and it can’t go with me. It is also for sale locally, and this auction is subject to termination if I sell it before the auction ends. The “85” in the XN85 Turbo’s name stands for horsepower – at the crank. In the day, those numbers from an air cooled 650 were quite good. Today, the bike is not quite as fast as all the badging might suggest. Still, these were specifically noted for their excellent handling, and even by today’s standards the XN85 offers a stable, capable platform. This bike looks to be in excellent condition. The black chrome exhaust looks to be very well preserved. 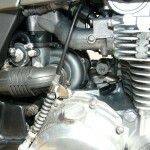 These bikes are notorious for corrosion on the exterior cases as well as the fork – but not on this bike. The plastics all look good, as do the seat and the dash. 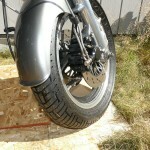 The bike even looks to have decent rubber – which can be a bit of a challenge given the odd wheel sizes. 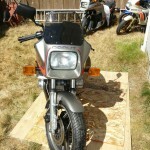 So what is the value of a super rare, one model year only vintage Suzuki? The answer might shock you. Had this been a rare bike from our Italian friends, you would be thinking that it could easily top $20k – $30k. Being a mass produced Japanese bike, however, that number could be an order of magnitude off. 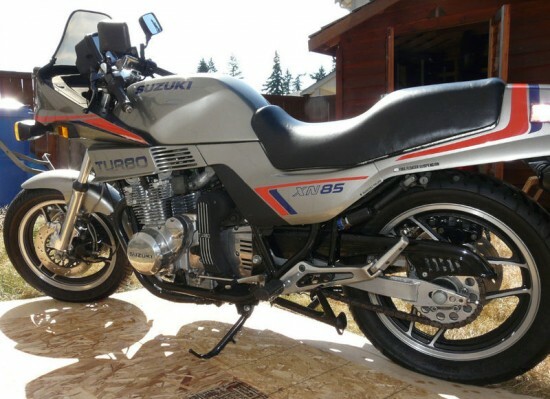 Owning a rare, collectable Suzuki Turbo – the rarest of the factory turbos – is far closer than you think. This auction has not yet broken the $3,000 mark, with reserve still in place. These Turbos have not been known to eclipse the $5-7k range in any condition, and “average” bikes roll for $3-4k. This one could be fun to watch. For more information and pictures, click on the link and jump over to the auction. Good luck! My name is Michael, and I am very interested in purchasing this bike from you. Had one exactly like it, purchased it in ’85. If there is anyway possible we can make this deal happen please let me know via email or phone, 504-638-0231. Look forward to hearing from you.